I know, I know- I'm so late to the party, but you guys I just realised that Community is AMAZING. I'm so disappointed in myself for not getting into it ages ago, considering the sixth and final(!) season premieres tomorrow in the US! My excuse is that isn't really easy to watch in the UK- I don't even know what channel it's on over here. It got released on Netflix though so I decided on a whim to check it out one day and then I think I finished season 5 about 3 days later. I barrelled through it, seriously. From paintball battles to 'Troy & Abed in the moooorning' to 'The Hunger Deans' to games in the dreamatorium to the darkest timeline I just love it so much. I think my favourite character is Dean Pelton but honestly I love them all. The best dressed by far though has to be Annie (soz Dean P). She has a really strong sense of personal style- preppy and colourful and cute, with lots of bright cardigans, floral prints and block colours. 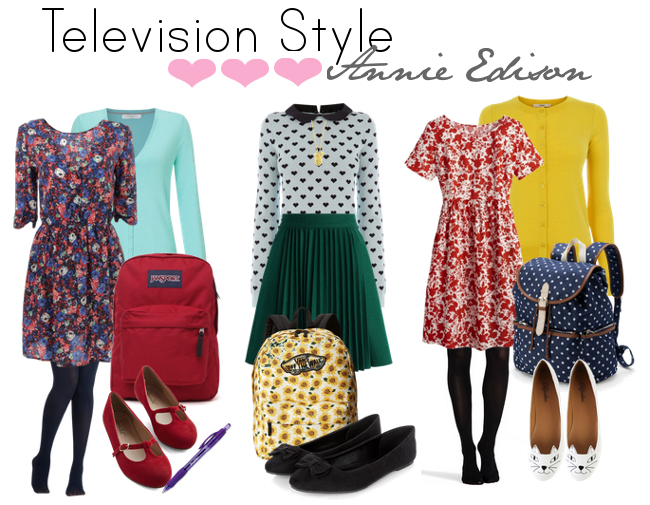 All three of these outfits I think Annie would wear to class- if you want a breakdown of what items of clothing I have chosen or where to get them you can check that out here on my original Polyvore set! Generally though in order to dress like the inimitable Annie Edison you should embrace florals and colour in a BIG way. Annie also tends to go for natural yet pretty makeup- think neat brows, rosy coral blusher and pinky tinted lip balm; and sleek, tidy hair, usually pinned back at the front. She also keeps her accessories to a minimum and lets her clothes speak for themselves, a plain watch and a simple gold necklace seem to be her favs. I cannot WAIT for season six to arrive- I have been obsessing over any and all news of what might be in the final season, and come tomorrow I will be glued to my screen to find out what the new semester has in store for my favourite Human Beings! 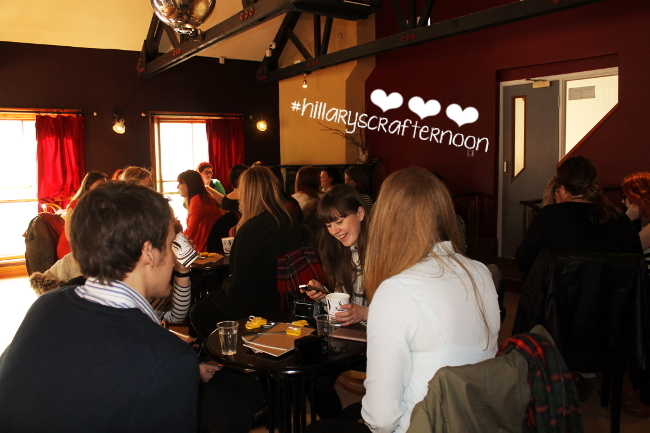 Last Saturday I was lucky enough to attend the Hillarys Blinds Crafternoon Craft Workshop hosted by The Crafty Hen & organised by Joe Blogs Blogger Network. I'm er, not exactly the world's best blogger so I was really surprised but DELIGHTED to be invited to the event. I've always wanted to get into the blogging community but I suppose I didn't really know how to go about it. So I jumped at the chance to attend this event because 1. I wanted to meet lots of other bloggers, 2. 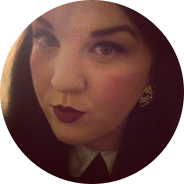 I want to get back into blogging and this seemed like an ideal opportunity to kickstart my motivation and 3. 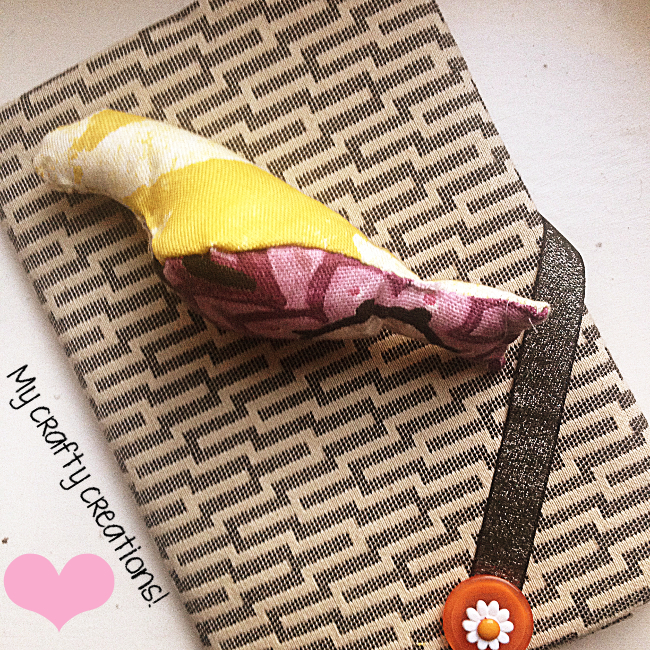 I like to think I'm quite a crafty person who would be a natural at something like this (ahem more on that later). So I took myself and a friend along to the Jazz Cafe in Newcastle to attend my first blogger event. 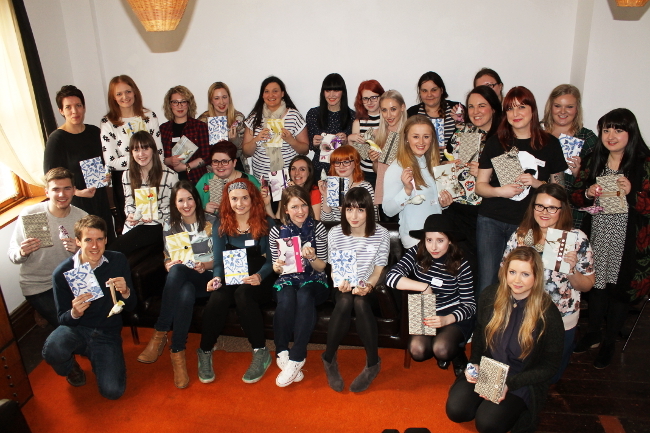 I had NO IDEA what to expect and found myself feeling a bit nervous on Saturday as the day went on, but of course, I shouldn't have worried because it turns out the NE blogger ladies are a lovely lot and a good laugh too, and the workshop was REALLY fun. The Crafty Hen were so good at explaining what we'd be doing and answering any of our questions. 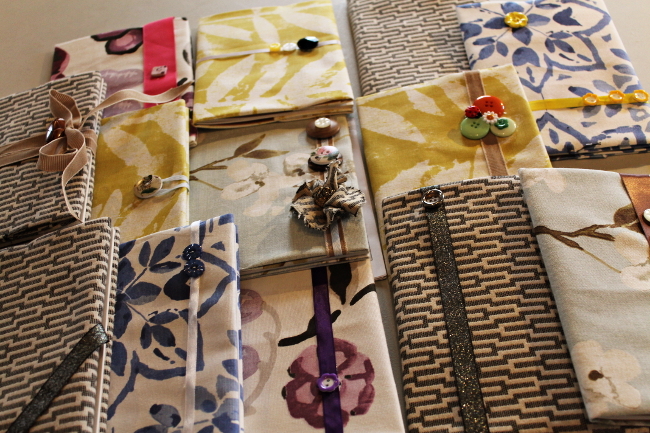 We got to choose any fabric we wanted from Hillarys brand new collection to make a book cover and a little 3D bird. The fabric I chose for my book was my favourite- I love a geometric print, but there were so many beautiful prints to choose from so it was quite hard! Much to my DEVASTATION though it became quite apparent as I was sewing up my bird that I wasn't very good at it. You have no idea how much I am still not over this revelation. I genuinely thought I would be such a natural at the whole sewing malarkey it was a genuine blow to my pride to realise that my 3D bird was looking more and more like a slightly malformed seal. Although I am still rather fond of it because I made it all myself. It has a certain flawed charm to it I think. Such huge thanks to Hillarys, The Crafty Hen & the peeps at Joe Blogs for putting together the event- I SO enjoyed myself and cannot WAIT to attend more blogging events and get to know all the lovely girls that were so welcoming and friendly on Saturday!